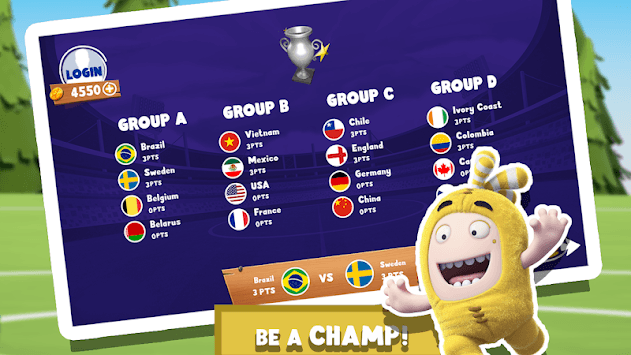 Welcome to the world of Oddbods Dominoes Striker! Take your favorite board game anywhere and play anytime on the go! 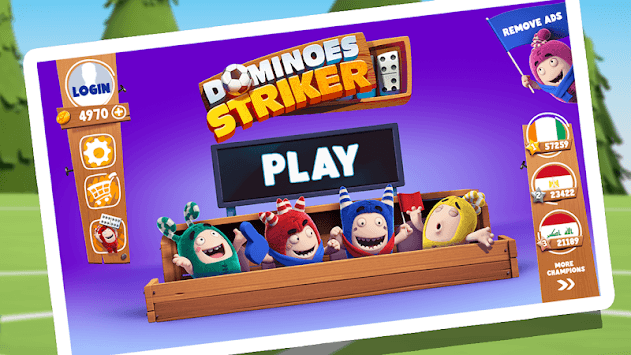 Mixing the classic dominoes game with a fun soccer theme and your favorite odd bods characters, you’ll have hours of fun battling it out against your family, friends and other players in a variety of game modes designed to put your dominoes skills to the ultimate test! Play and challenge your friends & family to see who can get the highest score. Play a quick match of dominoes, or enter into the Dominoes Striker Cup. For the best Dominoes players out there, you can enter the Dominoes Striker championship and become the world champion! 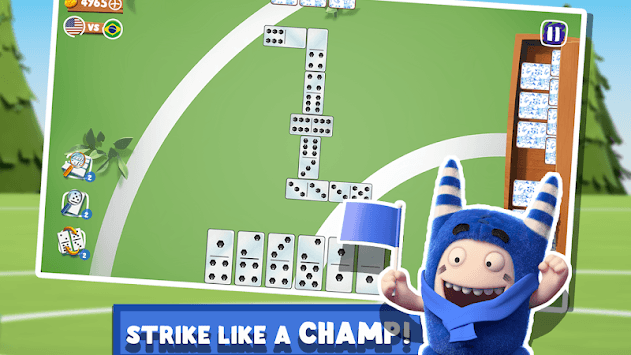 Breathe in the stadium atmosphere as you throw down your dominoes and dominate your opponents. All the Oddbods waiting for you to collect! By collecting them you unlock the complete Oddbods Dominoes set.